Based on the true story of a forgotten hero, OWEN is the epic tale of one young man’s incredible courage and resilience as he changes the course of English history. 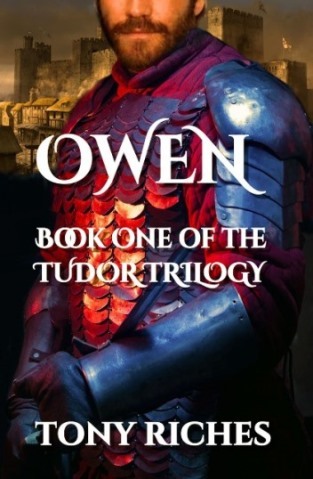 Owen - Book One of the Tudor Trilogy is a new addition to story of the Tudors in the historical fiction tradition of C J Sansom, Conn Iggulden, Philippa Gregory and Hilary Mantel. Oh how I love reading about people and places in history that I am unfamiliar with! I’ve read during the late 1400’s but don't really know that much regarding the early path of the Tudor’s. 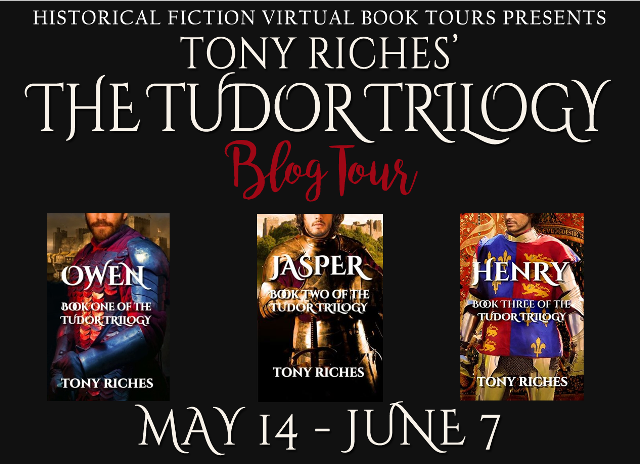 Owen is the first book in Tony Riches’s Tudor Series, other than a few fictional characters he stayed true to history and events. There were lots of changes taking place after the death of King Henry V with his infant son now King of both England and France. Though there isn’t much known about Owen Tudor the author does a great job of filling in the gaps. Told from his point of view made for an enjoyable read, his relationship with Queen Catherine as well as the struggles of court added enough action to keep the story flowing. I have read enough Tudor books set in King Henry VIII's reign that this one was a refreshing change (Owen is his great grandfather). A chance to learn more about the Tudor line and the added bonus of continuing this series with Jasper and Henry. I love the cover for this book, it sets the tone and setting. Tony Riches's knowledge of the time period shines through. Definitely a series and author I will continue reading. Be sure to click on the banner below for links to those reviews also. Tony Riches is a full-time writer and lives with his wife in Pembrokeshire, West Wales. 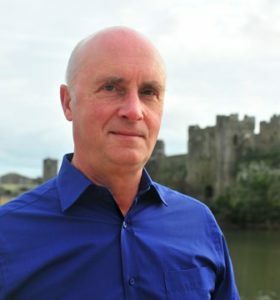 After several successful non-fiction books, Tony turned to novel writing and wrote 'Queen Sacrifice', set in 10th century Wales, followed by 'The Shell', a thriller set in present day Kenya. A specialist in the history of the early Tudors, he is best known for his Tudor Trilogy. Tony’s other international best sellers include 'Warwick ~ The Man Behind the Wars of the Roses' and 'The Secret Diary of Eleanor Cobham'. 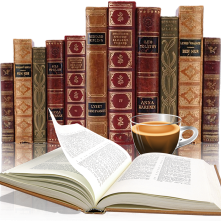 For more information please visit Tony's website and his blog The Writing Desk. During the Blog Tour we will be giving away an eBook & Signed Paperback of each book! Giveaway Rules – Giveaway ends at 11:59pm EST on June 7th. You must be 18 or older to enter. Yay, I'm so glad that you enjoyed OWEN! Thank you for hosting Tony's blog tour & for your great review.